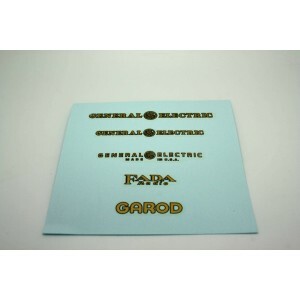 Calcomanias - Decals Hay 5 productos. 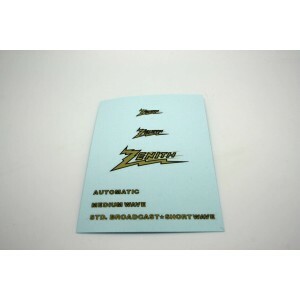 Water slide decal (not a sticker). 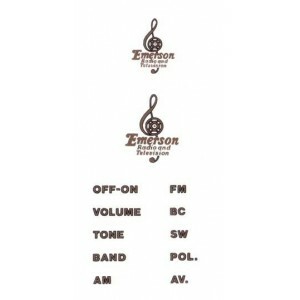 Features the Philco name in 3 sizes and 20 different knob function labels as found on Philco receivers of the 1930s and 1940s. Water slide decal (not a sticker). Gold with black outline, in 2 common sizes. Also contains the words 'AUTOMATIC', 'MEDIUM WAVE', 'STD. BROADCAST', AND 'SHORTWAVE'. 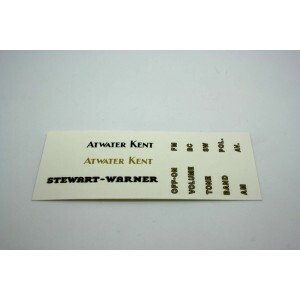 Water slide decal (not a sticker). The A.K. 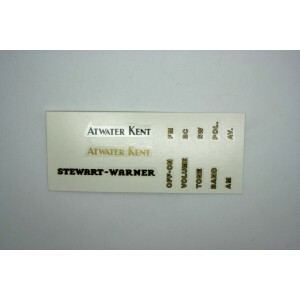 name comes in both solid gold and solid black colors, and the Stewart-Warner name is black with gold outline. Water slide decal (not a sticker). 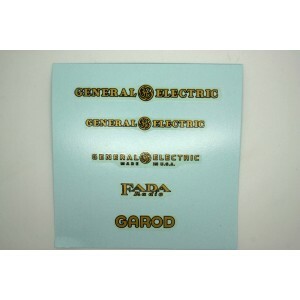 General Electric" logo appears in 3 commonly used sizes along with "FADA Radio" and "Garod". Gold with black outline.